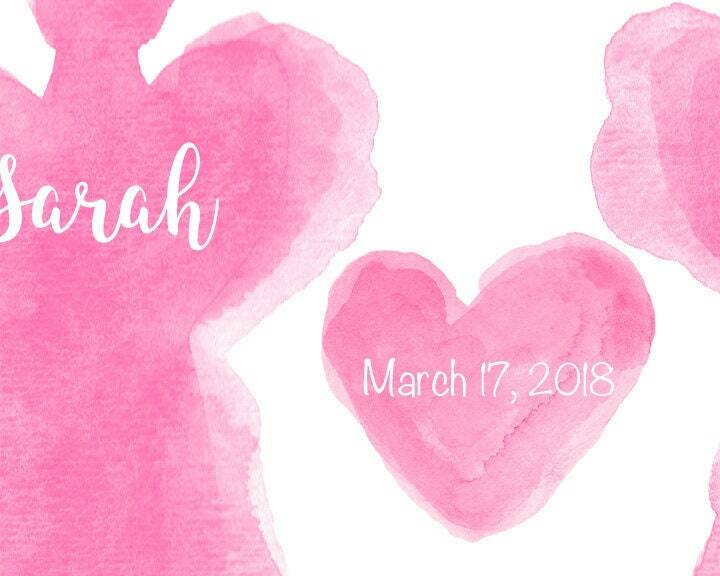 Personalize my watercolor guardian angels heart with your very special names. 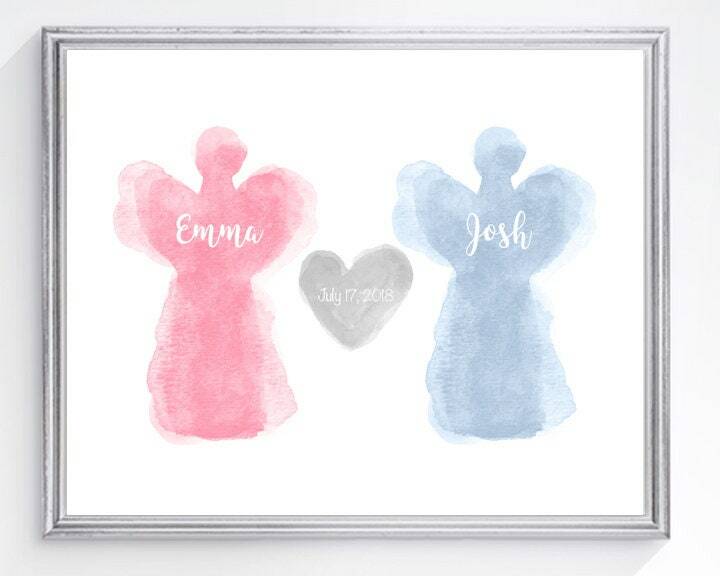 Available with or without a significant date in the center heart.Please leave the names (L/R) and a note with the date when you checkout in the notes to seller section. An 8x10 art print recreated from my original watercolor painting. 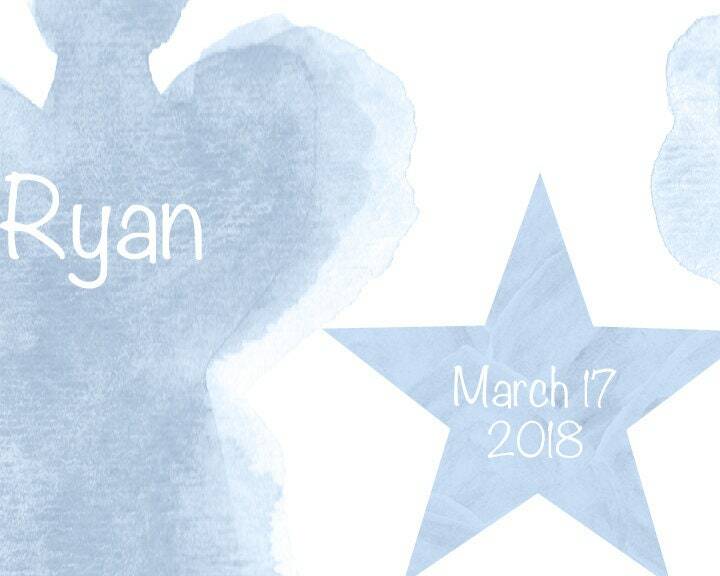 The gray and blue version for boys have a star instead of a heart.